Often dubbed “The Paris of the East” , Budapest’s grand, tree-lined boulevards, landmarks, museums, impressive architecture and artsy café culture holds the allure of the City of Light minus the attitude. Hit the Castle District. Take the creaky19th century funicular up the hill to Buda Castle where you can explore the castle, historic squares, museums and catch the dramatic changing of the guard at the Hungarian Presidential Palace. Under the castle is another world, a medieval labyrinth of caves and cellars. Sightseeing batteries can be recharged at Ruszwurm Confectionary, a sweets institution since 1827. After a long walk, hop on a rickshaw and check out Zrinyi Street and the famous St. Stephens Basilica, Hungary’s largest church. The Budapest Zoo is a treat, ornate turn of the century buildings and grounds brimming with exotic flora. It is easy to navigate and, if you are lucky, you can participate in elephant and hippo feeding time. 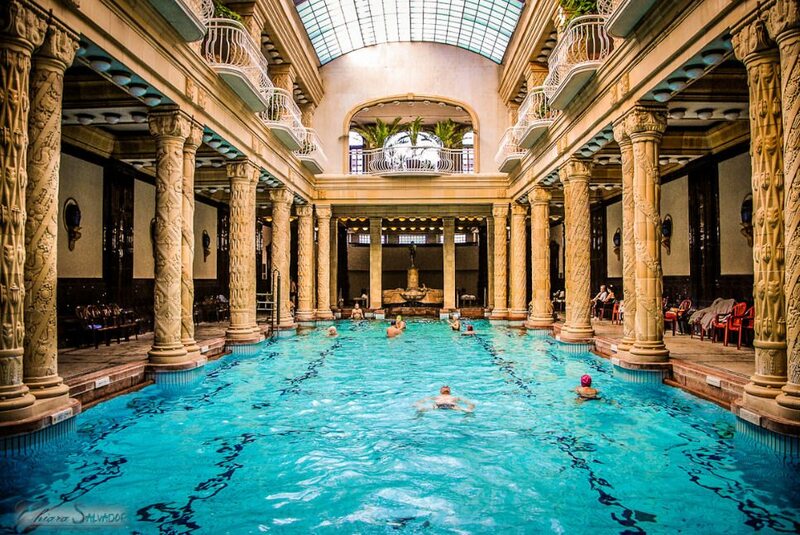 Budapest is famous for its public bath houses. Underground caves create highly mineralized water renowned for their healing powers. Try Gellert Baths and Széchenyi Thermal Baths. Both pools are open to the public (kids are welcome) with a purchased ticket.